Save $1 on Soy Vay Veri Teriyaki Sauce, 21-22 oz. Give it a try with our tasty Soy Vay Veri Veri Teriyaki Salmon Pouch recipe! Created by blending the complexity of cognac with the exotic distilled essence of orange, Grand Marnier possesses a luxurious taste and fine mellowness. 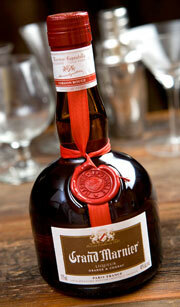 Use this classic liqueur in our featured recipe this week to create a mouth-watering dinner for dad! This is a great gift for dad! 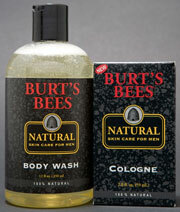 Burt’s Bees’ men’s line of natural washes and soaps, moisturizers, shaving products and cologne are paraban-free, sulfate-free, petrochemical-free and phthalate-free. You can find this line, along with many other natural gifts for dad, in our healthy living department. Congrats to our latest $1,000 Gift Card Winner! Our guest Michelle Lee from Sacramento took our Price Survey and won May’s drawing for a $1,000 Nugget Markets gift card. Each month, all guests who take and complete the price survey are entered into the gift card drawing, and all guests are invited to take the survey. You could be next! 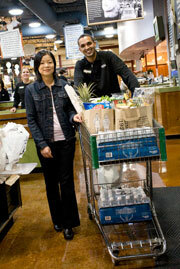 Drop off your completed survey at your local Nugget by June 14 for your shot at June’s $1,000 Nugget Markets gift card. Discover even more ways to save! The Rotary Clubs of Cameron Park and El Dorado Hills are partnering with Nugget Markets for this year's Wine at Town Center wine and food tasting event at the EDH Town Center. Come sample foods from Nugget Market kitchens, along with tastings from wineries, micro breweries, and restaurants. The evening will also feature a silent auction and will benefit local Rotary programs. For more info, visit www.wineattowncenter.org. Prices valid 6/9/2010 - 6/15/2010. 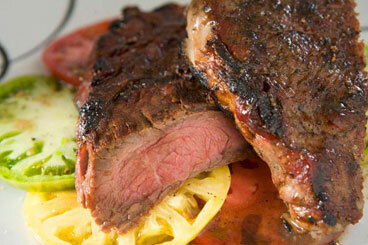 This quick and easy recipe is sure to please Dad on his day! Our Fresh to Market Rib Eye steaks are USDA Choice and all-natural, brought to you through our partnership with Harris Ranch Beef. If your dad has a sweet tooth, make his Father’s Day by picking up our special cake for dads this week in our bakery. 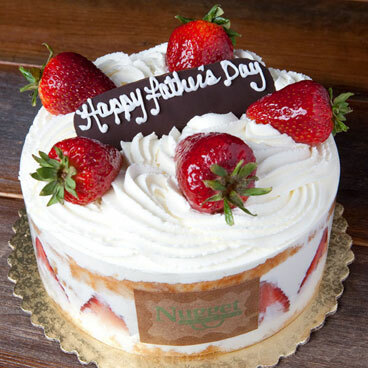 This 3-layer strawberry shortcake is iced with real whipped cream, and it features a chocolate “Happy Father’s Day” sign on top for a festive touch. When you think “dad,” we know the words “gift basket” might not immediately spring to mind, but trust us: this is the manliest gift basket you’ve ever seen. 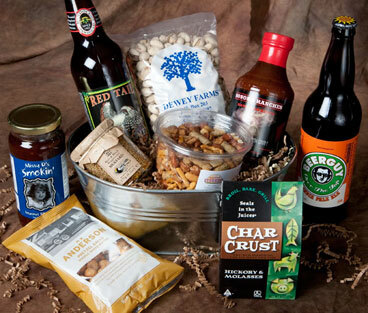 It’s packed full of stuff for guys — barbecue sauce, mustard, pretzels, trail mix, and of course, two kinds of beer! Even the basket part of this basket is manly — this tin pail will be right at home in dad’s tool shed. One of our favorites just got better. 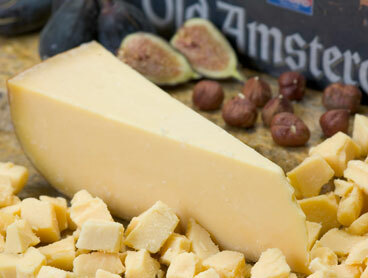 This classic aged Gouda is rich and caramely with a salty, sweet finish. *And, beginning June 16, for a limited time only, receive a free barbeclette with your purchase, handy to use when grilling cheese on the barbecue. While supplies last. See your store’s cheese specialist for details. Salmon: A 3-ounce serving supplies a hefty dose of good quality protein needed for rebuilding muscles following tough exercise. A serving also meets 100 percent of need for the essential omega-3 fats crucial in immune and heart health. Spring salad mix: Arugula, romaine and other deep green lettuces provide folic acid, a B vitamin that men need for healthy circulation and heart protection. Studies show that men who eat greens also gain protection against an age-related loss of vision called macular degeneration. Berries: Strawberries, blueberries and the like are a top source of vitamin C and potassium, which studies show help promote healthy blood pressure. Boys, teens and young adult men who eat at least three servings of berries and other fruit daily (one cup or a medium piece of fruit) are less likely to gain weight with age and become obese. Beans: From lentil and garbanzo to black and navy, beans contain mighty water-soluble fiber. This fiber type not only lowers blood cholesterol levels and promotes heart health, but may also help maintain normal blood sugar levels and ward off diabetes.